Not a customer yet? Sign up for a free 60-day Constant Contact trial to see how powerful images can be for your email marketing! Starting a blog these days has become easy with platforms like WordPress. However once it is up and running, the next big challenge you have is to bring more traffic to your blog or website. Don’t worry, you don’t need to be a marketing guru to promote your blog. 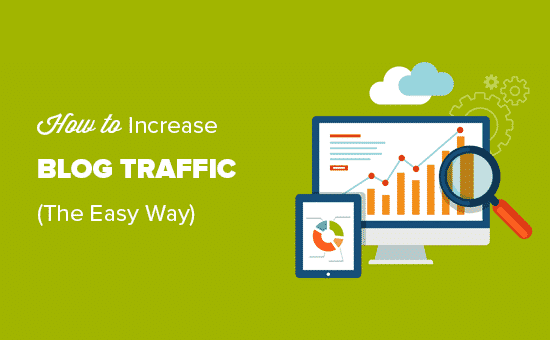 You can easily increase your blog traffic to get more visitors by using some proven best practices. 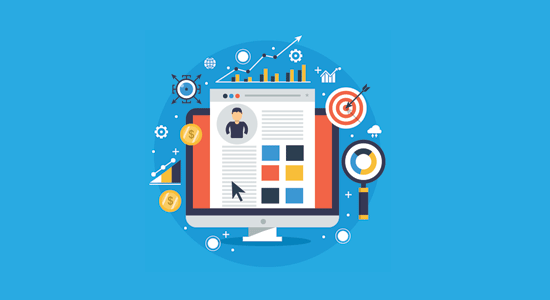 In this article, we will share some of the easiest and tested tips to increase your blog traffic like an expert marketer. Unlike other articles on growing blog traffic, we are only going to share tips that we have personally used to increase our website traffic to millions of pageviews every month. We also have done our best to make this the most comprehensive website traffic guide, so you can have a holistic blog traffic strategy for your business. Before you start creating content for your blog, it’s important to spend a little time understanding your target audience and what they are looking for. What problems are they facing that you can help solve? What kind of content are they looking for? How would they ideally try to find the answers to their questions? Answering these questions will help you get a clearer picture of your target audience. What is their expertise level in the subject matter of your blog? These audience profiles are also known as buyer personas in the eCommerce industry. 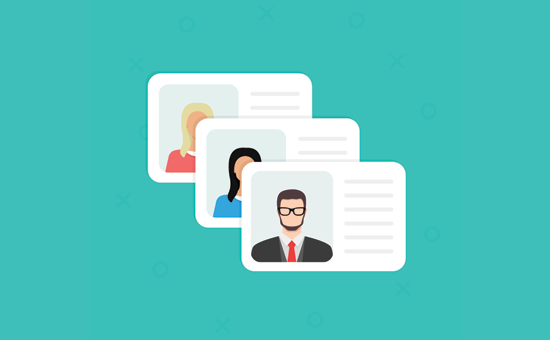 If you run an online store, then we highly recommend that you check out this detailed guide on how to create a buyer persona with examples and templates. Keyword research is a technique used by content creators and SEO experts. It helps you discover specific words and sentences that users type in Google and other search engines to find the content they are looking for. Normally, beginners just rely on their best guesses when creating content. As you can imagine, this strategy is a hit or miss. If you use the “best-guess” strategy, then a lot of your articles will likely not do well in search engines. Simply because no one’s looking for the keywords you have used, or there is just too much competition for those keywords. Now the question is how do you actually do keyword research? Luckily, it is not as difficult as you would think. There are a lot of free and paid tools that can help you do proper keyword research. All you would have to do is enter a keyword, a competitors blog/website URL, or your own URL to find out more keyword ideas. 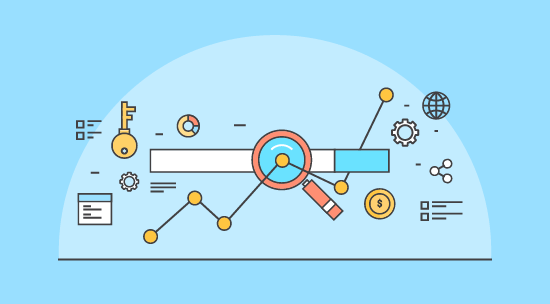 We have created a detailed guide on how to do keyword research for your WordPress blog with step by step instructions. Once you have done the keyword research, you’ll likely come up with tons of blog post ideas. Sometimes, the large list of keywords can overwhelm beginners to a point where they simply give up. To make sure this doesn’t happen to you, we recommend creating an editorial calendar (a game plan). Remember, no large blog was built in a day. It takes time and consistent effort to create a successful blog. 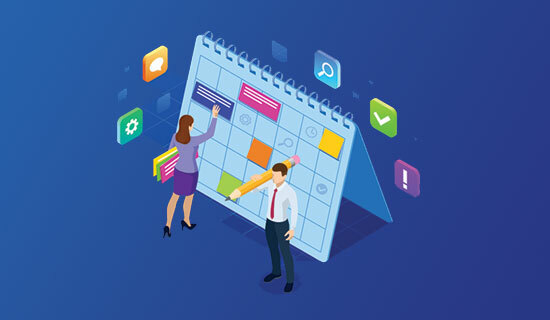 Creating an editorial calendar will help you create and stick to the plan. There are plenty of useful tools that you can use like Asana and Trello to name a few. These tools come with a powerful set of features that will help you stay on top of your game. The goal is to organize, create a bird’s eye view of your strategy, and be more productive. Here are some more tips on managing your editorial workflow more efficiently. Don’t be too hard on yourself. Start with two articles a week and gradually increase your pace when you can. Be consistent with your publishing schedule. Make sure you follow your calendar and publish regular content as planned. Add notes, keyword ideas, and outlines to your calendar. This will help you produce better quality content when you sit down to write. Use colors, tags, categories, and other features in your calendar app to make it more visual and organized. Here are some more tips on managing an editorial calendar for your blog. The most important thing that users and search engines look for is good quality content. For a blog, a quality piece of content is usually a comprehensive article on a specific topic that covers all the details. This makes it extremely helpful for users. These comprehensive articles are known as “pillar articles”. Other experts may refer to them as flagship content or cornerstone articles. Basically, these are your most important articles. You need choose the most promising keyword and then provide as much information as you could in one long-form article. You should create as many pillar articles as possible to cover all the important keywords in your industry. Pillar content could be any type of article. For example, a how-to guide, tutorial, comparison article, opinion piece, a listicle, and so on. The difference between pillar content and other articles is that your pillar articles are more comprehensive and provide in-depth information on the topic. Your pillar articles are not time-dependent. They are evergreen and always useful. Although we recommend keeping them updated with new information to stay on top of search results. 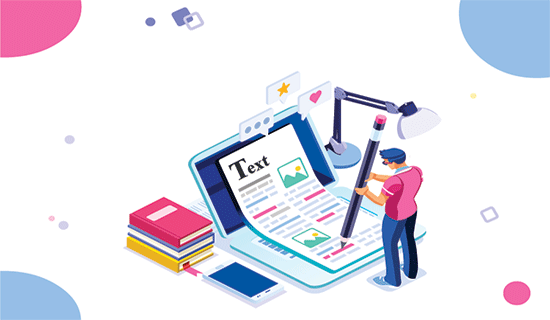 We will cover more tips later in this article that will help you create high-quality pillar articles to get more traffic from search engines. As we mentioned earlier, search engines and users love longer and comprehensive articles that provide all the information they need. Now the problem is that humans have a short attention span. A slight difficulty in reading or understanding will put off your users, and they will leave without looking at all the useful information that you offered. To solve this problem before it happens, you need to make all your content easy to read. A good place to start would be to present your article in bite-size sentences using a friendly tone and lots of visuals. 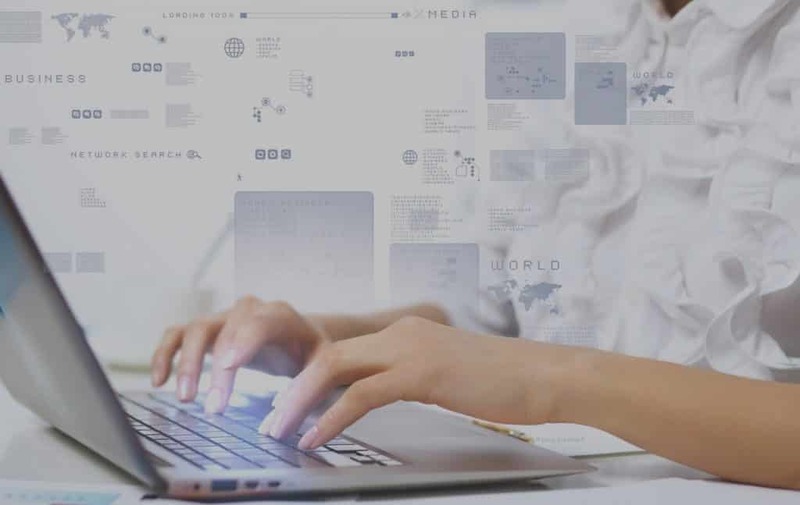 Following are just some basic tips to make your content more readable and user-friendly. Use smaller sentences and paragraphs. This leaves a lot of white space around text making it easier to look and read. Try to improve typography by using more readable fonts, large font-size, and plenty of line spacing. Use a grammar checker. We recommend using Grammarly, it not only checks grammar but actually helps you write better. Use images, screenshots, videos, infographics, and other visual elements. These media elements make your article highly-engaging and easier to read. 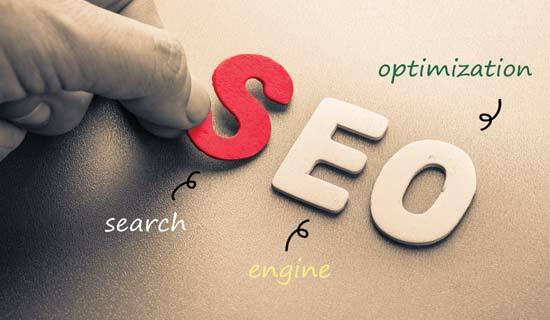 SEO is a set of best practices that help you make your website more search engine friendly. You don’t need to be an ‘SEO Guru’ to improve your website. 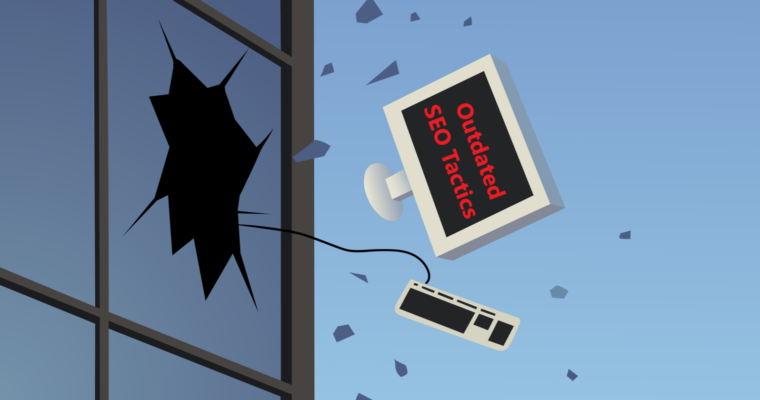 Contrary to popular belief, anyone can do SEO for their own websites without hiring an expert. There are plenty of SEO tools and plugins, free advice, and step by step tutorials available that you can use. We recommend using Yoast SEO plugin for all WordPress websites. It is the most comprehensive SEO and website optimization tool. The free version includes all the SEO features that you will need on your website. You can learn all you need to know about SEO, in our complete WordPress SEO guide for beginners. It includes step by step instructions, and it is the exact same SEO setup that we use on our own websites. When users find your content in search results or RSS feeds, the first thing they see is your article headline. 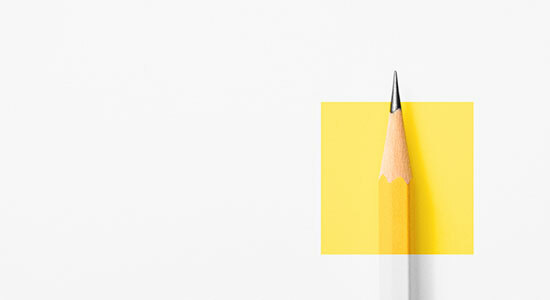 A catchy blog post title stands out and gets more clicks. Whereas a plain and boring headline gets ignored, and users are likely to scroll by it. This makes headlines very important. You need to learn how to write better titles for your blog posts that capture user attention and get more clicks. Luckily, blogging experts have been doing research on headlines for a very long time, and you can benefit from their findings. A good headline triggers an emotional response (joy, surprise, shock, curiosity, fear, excitement, greed, and so on). Copywriters use power words to trigger emotional responses. They tell users why the article is valuable or what they will get from clicking on the headline. Lastly, a good headline includes a call to action for users which is often subtle and sometimes implied. To learn more, we recommend you to check out these headlines that went viral and what you can learn from them. Our team regularly uses these three tools to create better blog post titles and headlines. Now that you have started creating good content, it is important to link to your articles from your existing blog posts. 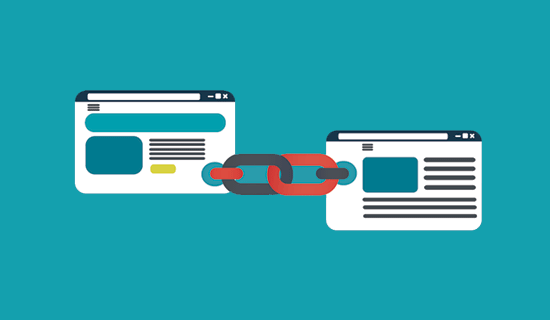 This is called internal linking, and it plays a huge role in SEO. Internal links help Google understand the context and relationship between different articles on your website. It then uses this information as ranking signals. Internal links, when placed strategically and in context, can help you increase page views and reduce bounce rate. It is harder to ask third-party websites to link to your articles. It is way easier to create links on your own site. We recommend making it a habit to link to your older articles from your new articles. Because internal links play such an important role in SEO, we have even made it part of our pre-publish checklist for our writers. 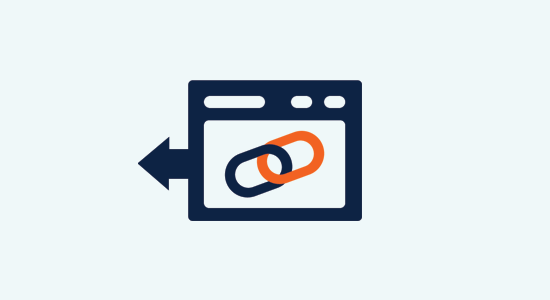 A backlink is an incoming links to your content from an external website. Backlinks are one of the most influential signals in Google’s rankings. Getting backlinks from reputable websites and blogs is very difficult. Not just for beginners, even experienced bloggers struggle with it. Reach out to influencers and reputable blogs in your industry, and then tell them about specific content on your website that they might want to link. Write guest posts on other blogs and websites. Interview influencers and bloggers on your blog. They will likely want to let their users know to come checkout their interview, and you’ll get a backlink. The easiest way to get a backlink is to add a link to your website on all your social media profiles. In step 5, we mentioned that adding images and charts to your articles make it more readable. Since visual elements are so important, we believe they deserved their own spot on this list. As human beings, our brain prefers visual elements. We love colors and objects because aesthetics trigger emotional responses in our brains. This makes us more engaged and immersed in our surroundings. People love looking at infographics because they make information engaging and easy to consume. 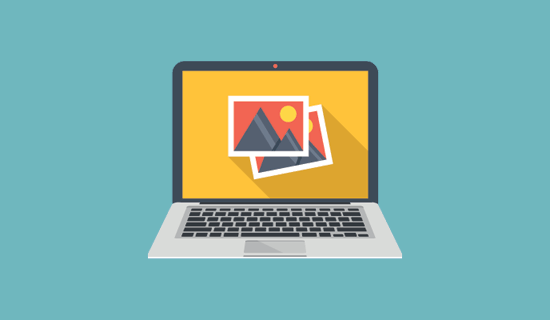 Images in your blog posts grab user’s attention and help them focus on not just the visual element but also the text around it. If you’re just starting out, then it’s important to know that you cannot just use any image you see on the internet. Images are protected by copyright and stealing copyrighted material can have serious consequences. Ideally, you want to use your own images, graphics, and photographs, but not all bloggers are graphic designers or photographers. Videos are the most successful form of content on the internet. Users spend more time on blog posts containing videos than just text and images. Adding videos to your articles in WordPress is super easy. However, you should never upload videos to WordPress because it is not optimized to stream videos. A video hosted on your WordPress hosting server will take up too many resources, and the user experience would be terrible. 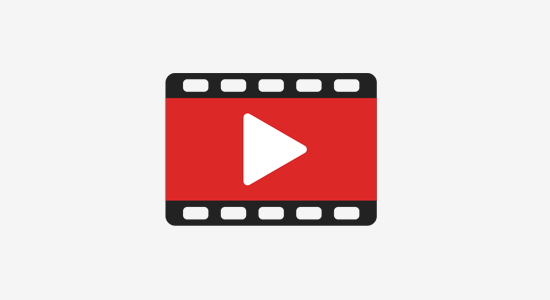 The best way to add videos to your WordPress site is by uploading them to YouTube and then embedding them in your blog posts. This gives you even more exposure as YouTube itself is the world’s second largest search engine, and a popular social media platform. For video editing, if you are using Mac, then iMovie is perfectly capable of performing basic video edits. Windows users can use free video editing software like Lightworks or Shotcut for basic editing. User-generated content is basically any content generated on your website as a result of user activity. This includes comments, testimonials, guest posts, user reviews, and more. 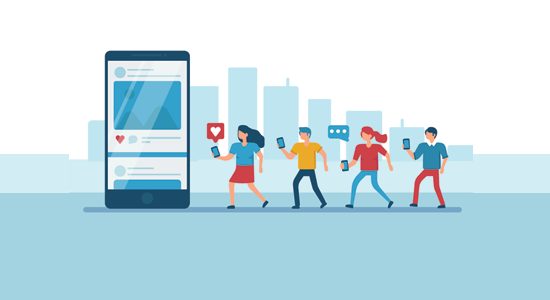 User-generated content helps you bring more traffic to your website because it gives users multiple opportunities to participate and get involved. Users are more likely to return, share, and even purchase from your website when they spend more time on it. There are many different kinds of user-generated content that you can add. You need to choose what works best for your blog and start from there. 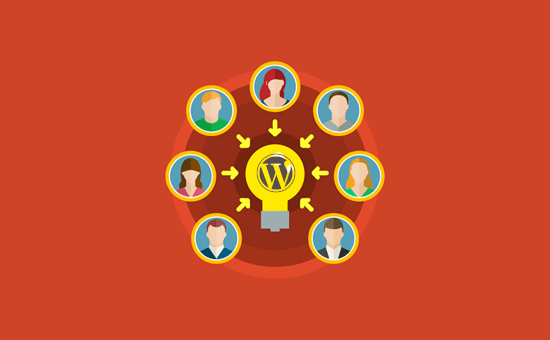 For more ideas, see our guide on how to use user-generated content in WordPress to grow your website. There are a lot of great WordPress themes available on the market. The problem is that many beginners want to use a theme with all the bells and whistles. These themes are not always the perfect design for your website. Bad website design stops your users from spending more time on your blog which decreases your pageviews. Whereas a good design helps them discover more content, explore different sections, and spend more time. We are often asked by users how to choose the best theme? Our answer is to always to strive for simplicity. A simple, clean, and functional theme makes a good first impression and offers the best user experience. In this era of instant gratification, no one wants to wait for a website to load. If your website is slow, then users will simply leave your website before it even loads. Search engines like Google also consider website speed and page load time as one of the important ranking factors. 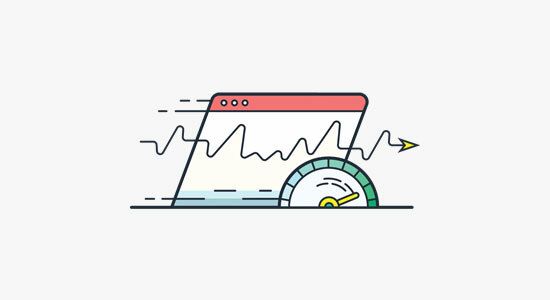 To make sure that your website loads fast, you need to optimize your WordPress performance. This means you need to use caching, avoid unnecessary bloat, and optimize your images. We have prepared a step by step WordPress performance optimization guidethat will help you speed up your website without hiring a developer. Most beginners spend too much of their time bringing new users to their website. However, more than 70% of users leaving your website will never return. The trick to growing your blog traffic is NOT to just get new visitors, but you also need to keep existing visitors coming back. How do you make sure that users return to your website? You do that by asking them to subscribe to your blog. Users can subscribe to your website’s social media profiles. However, most social networks limit your reach, and your users can only see some of your content. This is why you need to start building your email list. The best about your email list is that you own it. 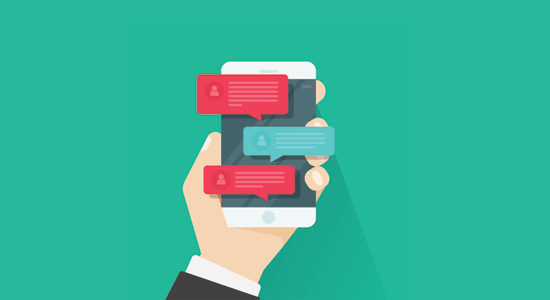 No one can limit your reach, and you get direct access to your user’s inboxes. Email marketing is the most cost-efficient and highly effective marketing tool at your disposal. You are losing potential subscribers each day without an email list. 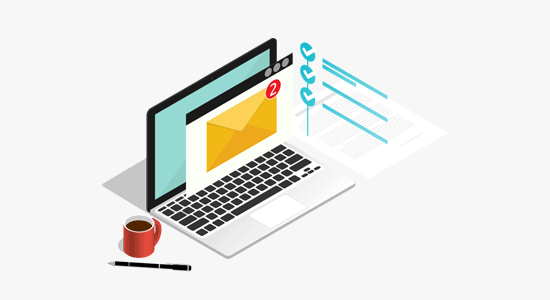 For more on this topic, please read our article on why building an email list is so important. Once you have an email list, you can send regular email newsletters to bring more visitors to your blog. When we stress that you should build an email list, we don’t mean that you should stop building a social media following. Quite the opposite, in fact, we want you to continue building a social media following on all the important social platforms, and even find new niche platforms that you can explore. The problem with social media websites is that you have to regularly post content to keep your profiles active and drive traffic to your blog. 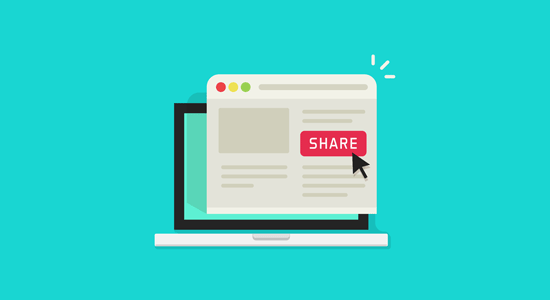 If you do that manually, then you’ll soon be spending quite a lot of time on sharing content. This is where IFTTT comes in. It is a free online service that allows you to automatically share your WordPress blog posts on social media websites. If you’re like most blogs, you probably only publish one article a day, this means for the rest of the day, there is no update from you on social media. On platforms like Twitter, your Tweet will soon disappear, and your users will probably not even see it. 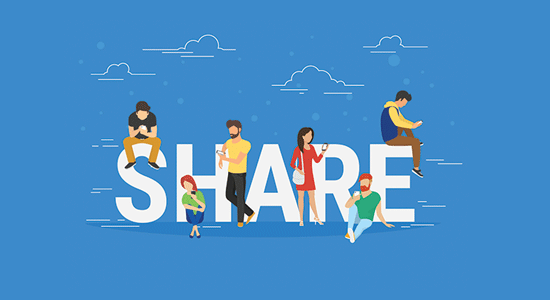 Wouldn’t it be nice if you could automatically share your old content at regular intervals throughout the day? This will help you get more traffic from social media by increasing your visibility and keeping your profiles more active. Luckily, you can automate it with tools like Buffer and Revive Old Posts. With Buffer, you will have to bulk-upload your updates manually. On the other hand, Revive Old Posts will allow you to automatically share your own old articles. There are so many social media websites out there, but most of us spend all of our time on few top platforms like Facebook and Twitter. Obviously, you want to focus on them to drive more traffic to your blog. However, depending on your blog’s topics you may have more success on other social platforms that are less crowded. For example, if your blog is about building businesses, then you may find more engaged users on LinkedIn. If you run a lifestyle or fashion blog, then Instagram may be the platform you should focus on. You can always spend time on Quora to answer user questions which build backlinks and help increase blog traffic. We recommend that you try spending more time on social networks other than the big two. You may find a more passionate audience and a bigger following there. 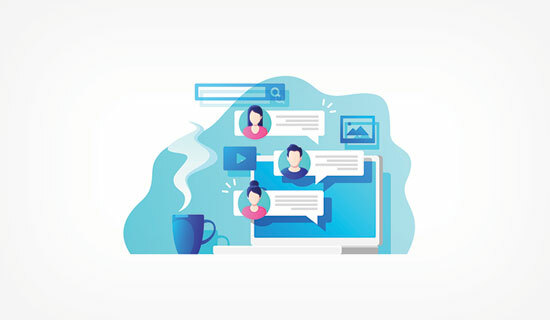 Online communities are a great source of traffic mainly because they already have engaged users who are interested in the topics that you are discussing on your blogs. You can find smaller communities on Reddit, LinkedIn groups, Facebook groups, YouTube communities, and more. Pro Tip: Don’t just start posting links to your articles. This is called spamming and moderators will instantly block you. You should spend some time building reputation, answering questions, joining discussions, and then only share your website if it is appropriate. Another way to build a passionate following around your blog is by starting your own online group. You can use free platforms like Facebook or LinkedIn and invite your users to join in. As your community grows, so will your influence. The active participants in your group will proactively help you promote your blog on their own social media profiles. After some time, this little community can become a major source of traffic for your blog. You may have noticed that sometimes years old answers from websites like Stack Exchange, Quora, or TripAdvisor would still outrank more established blogs in search results. 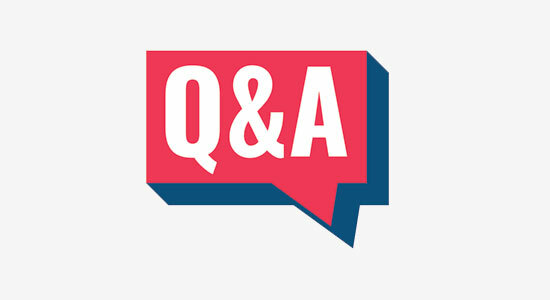 Question and Answer websites are one of the biggest online communities on the internet. The advantage of answering questions on these platforms is that your answer will remain live for a very long time which means that it can become a regular source of traffic to your blog. Once again, we will not recommend you to just go there for posting your links. Instead, you should write actual detailed answers with links to your blog posts only if they fit in the context. Influencers can help you promote your blog and can significantly boost your website traffic. However, the problem is that most influencers get tons of messages already. Since you are a new blogger, they assume you probably don’t have anything to offer them in return. So how do you get the attention of an influencer? More importantly, how do you get them to promote your blog? First, you need to start a conversation with them on social media. Next, share their content with your own commentary, reply to their threads, leave comments on their blog posts. Make sure each of your interaction adds value to their discussion. Influencers love it when users appreciate their efforts. They will notice and remember you. Once you have established a relationship, you can approach them to give you advice. It sounds like a lot of work, but it helps you build life-long friendships that are mutually profitable. Human beings are social animals. We like to know about other people’s experiences as social proof and use it to make our own decisions. You need to use this social proof on your website, on your social media profiles, in your tweets, and in emails to promote your blog. Now you may be wondering, what if I am just starting out? How do I leverage social proof on my blog? There are tons of ways to leverage social proof, even on a new blog. 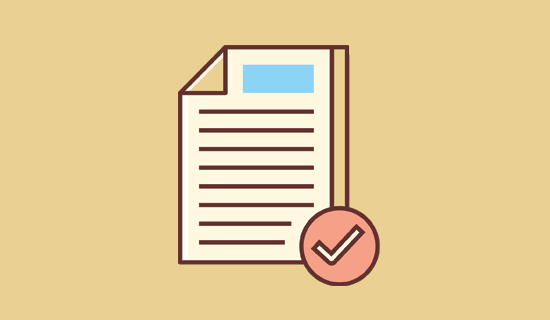 Add a feedback form and ask users to leave you feedback that you can share on your blog. Numbers are brain candy. Share your social media counts, email list subscriber counts, and other numbers as social proof. Don’t worry if your numbers aren’t as big as other successful blogs, they are still powerful social proof. People are asking questions all the time on social media websites like Twitter. Set up alerts to monitor keywords on social media and then jump into conversations to answer their questions with a link back to a relevant article on your website. You can also monitor social media websites for your brand name, links, conversations, and more. There are plenty of tools that you can use for this. Here are some of the best social media monitoring tools that can make it all easy for you. After you have started creating content and promoting it, you need to track how well each content is performing. Furthermore, which keywords is it ranking for. You can do this with a tool called, Google Search Console. It is a free tool provided by Google that helps you see how your website is doing in Google Search. 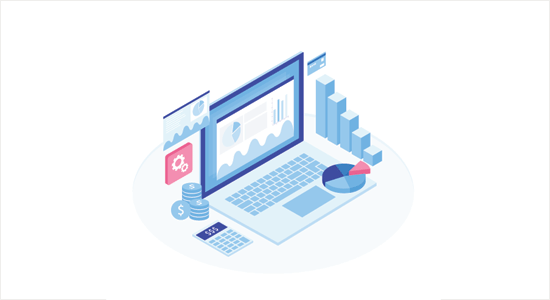 We have a complete Google Search Console guide that will teach you how to use this immensely powerful tool, like a Pro. Next, you would want to monitor your competitor websites. 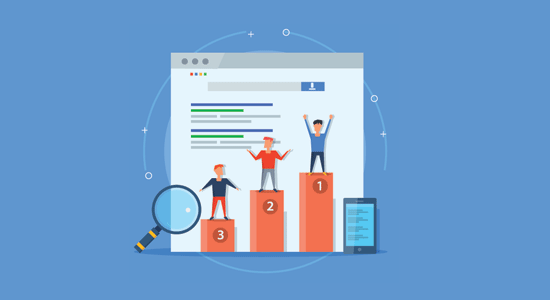 Google Search Console will not tell you who is ranking higher than you and why. For that, you’ll need tools SEMRush and Ahrefs. Using either of these tools, you can get detailed insights into your competitors, their top keywords, and what you need to do to outrank them. Now that you have started getting some traffic, you need to know where your users are coming from, and what they do when they are on your website. Without this data, you cannot evaluate your strategy or plan your next moves. This is where Google Analytics comes in. It tracks your website visitors and helps you see traffic reports, engagement, and other user activity on your website. For instructions, see our step by step tutorial on how to install Google Analytics in WordPress. The biggest advantage of using Google Analytics is that you can see what your users are doing when they visit your website. See our article on how to use Google Analytics to track user engagement on your website. Knowing this data helps you double down on what’s working, and stop doing what’s not. These tips will help you increase your blog traffic and continue getting more subscribers. However as your blog grows, you need to learn more ways to grow your business. 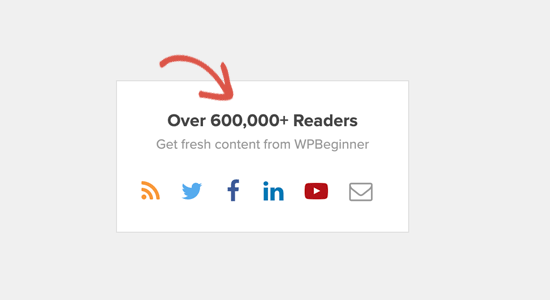 WPBeginner is the largest WordPress resource site. We regularly publish tutorials on online marketing and SEO. We have a YouTube Channel as well, where you can learn more about WordPress, growing your blog, and SEO. OptinMonster Blog is another great resource that you would want to follow. OptinMonster is the best conversion optimization software on the market. Their blog is where they regularly publish articles on how to get more traffic, subscribers, and sales. We hope these tips helped you increase your blog traffic. You may also want to see our list of most useful tools to help you further grow your blog. We here at Spearhead Multimedia have been following Syed Balkhi for many years. His tips and traing articles are a great resource for our clients. 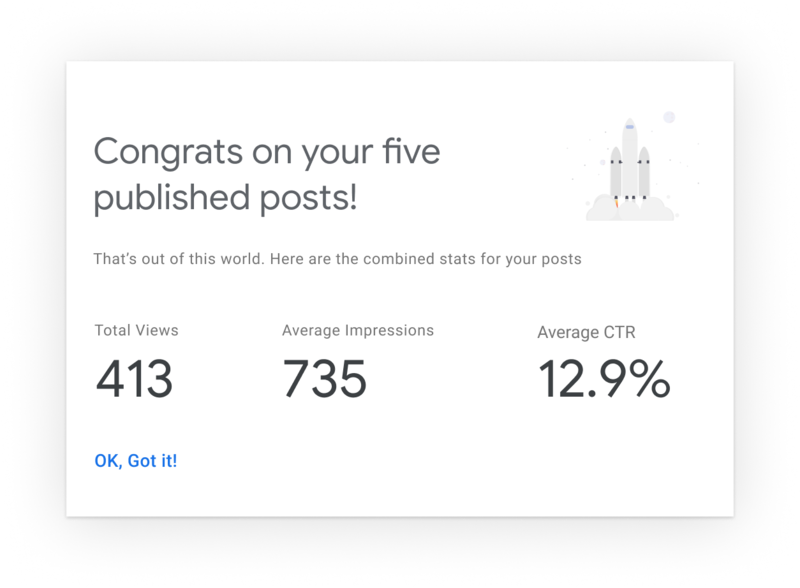 Google has introduced a new WordPress plugin which brings insights from Google tools to users’ dashboards. Site Kit by Google allows users to access information in Search Console, Analytics, AdSense, and PageSpeed Insights from the WordPress admin panel. Google will release Site Kit to beta testers in early 2019. Those who are interested in the plugin can sign up for the beta version here. Site Kit doesn’t add any new insights that are not already available in Google’s tools, but it does make them easier to access. For example, users can navigate to a page on their website and click on the Site Kit button in the admin panel to see stats for that specific page. 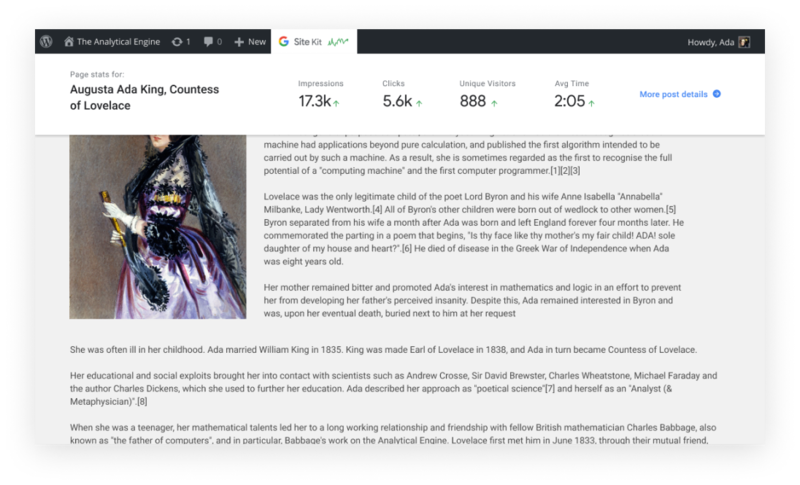 The plugin will also notify users when they’ve hit publishing milestones and show combined stats for the most recently published posts. Google plans to expand Site Kit’s capabilities and integrations in the future based on feedback from beta testers. 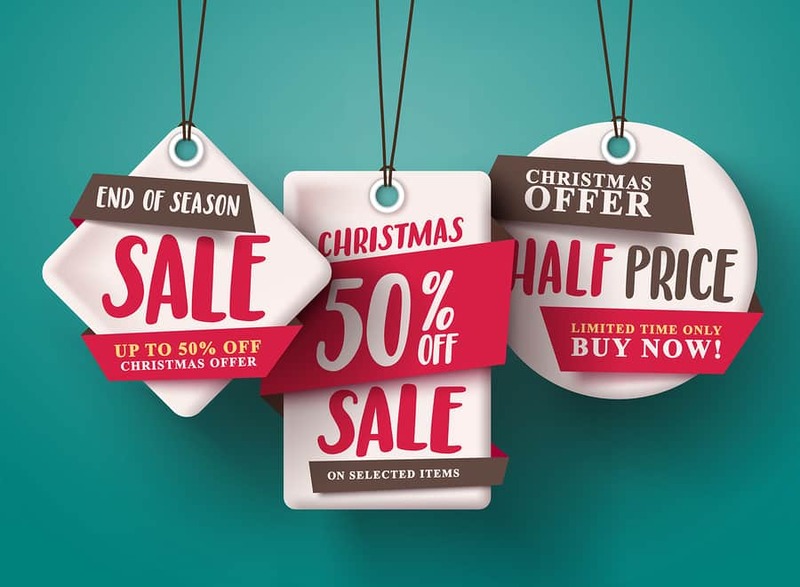 Depending on your business, there are a number of different campaigns you could run during the holiday season. The type of campaign you decide to run will depend on the products and services you offer, and the audience you’re trying to reach. You will also need to consider the type of results you’re looking for, and your overall goals for the upcoming season. Constant Contact email marketing and the new Facebook Ads have been most successful. To help you get started, we’ve compiled a list of possible campaigns you can try out. The key to a great offer is that it’s compelling enough to get people to act. You can add a coupon to any email and let customers redeem in-store or online. Hosting a holiday event is the perfect way to thank customers for their continued support. It’s also a great opportunity to interact with your audience face-to-face. Contests are a great way to engage your audience and can help generate buzz during the holiday season. Come up with a prize that your customers will love, and encourage them to enter by providing their email address. If running a promotion doesn’t fit your business, you can still do something special for your customers by sending them a thank you email or offering something of value. As quickly as one technology trend arrives, there is another one right behind it, so it is getting increasingly difficult to keep up with all this digital innovation that is readily available at our fingertips. 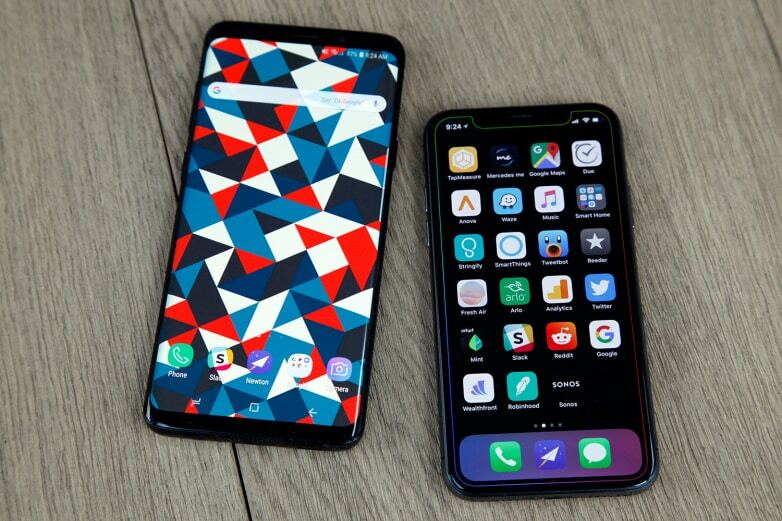 In the last twenty years, we have gone from the very early stages of mobile phone usage to a world where we can do our grocery shopping with a few clicks on a smartphone. The capabilities of the Internet seem endless and the stats show us just how much impact the Internet has had over the last few years. This infographic reveals some very interesting digital information that might surprise you. For example, did you know that across the world there are over 4 billion Internet users? A massive 2 billion of that population is located in Asia and there are now 3.2 billion social media users (as of Jan 1st, 2018). It is hard to imagine a world without the Internet now that it has become so integral to our daily routines. 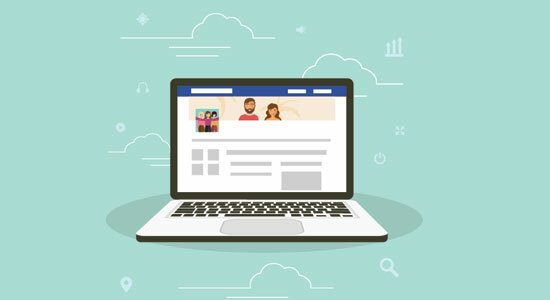 Social media is not just a way for people to connect with friends; it is also a strong business marketing channel with 90% of businesses now actively using social media. Watching videos on YouTube has become a regular hobby for all generations and particularly the younger generations. There are now more than 1.5 billion YouTube users worldwide and anyone can quickly record a video using their smartphone or create their own tutorial on a webcam. 52.2% of website traffic is now via mobile phones and we have seen changes in website development to reflect this by making websites more mobile friendly. In 2018 over a billion voice search queries per month were recorded and this is a trend that is expected to continue through 2019.